A significant number of Texans do not visit the dentist for regular checkups because they are too scared or they suffer from dental anxiety. 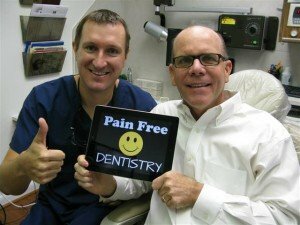 Dr. Nugent offers sedation dentistry as an excellent way to provide a safe, stress free, dental experience to patients that are afraid of the dentist. Sedation dentistry is often mistakenly believed to induce sleep. In fact, most sedatives allow the patient to stay awake during the procedure. Sleepiness is a side effect of the medications, but nitrous oxide and oral sedation work to calm anxiety throughout the dental visit. However, in Dr. Nugent’s experience patients are so relaxed they sleep during the procedure. If the patient needs to go the bathroom they can ask to go, or if they are cold they can ask for a blanket. Patients are not so sedated that they lose protective function of their airway. In other words, if they choke on some water they will cough and close their airway. The most popular types of dental sedatives are nitrous oxide (laughing gas) and oral conscious sedation. 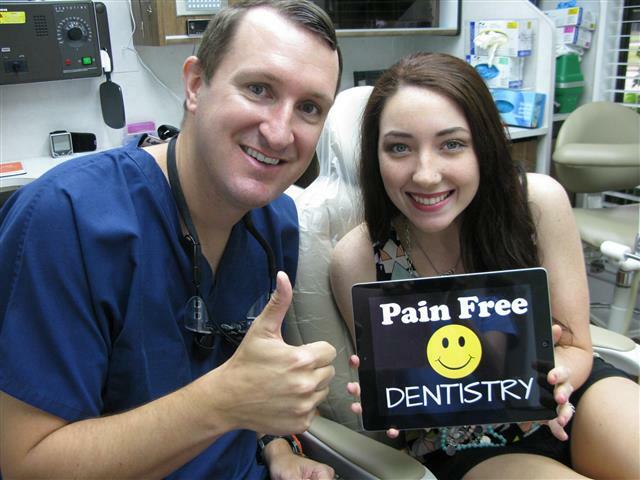 Dr. Nugent can adjust the levels of sedation based on individual needs. Before administering any medication, Dr. Nugent will review your medical history to make sure the medication is safe for you. Visit us at 3421 Burke Rd Ste A, Pasadena Texas 77504. See how sedation dentistry can work for you.